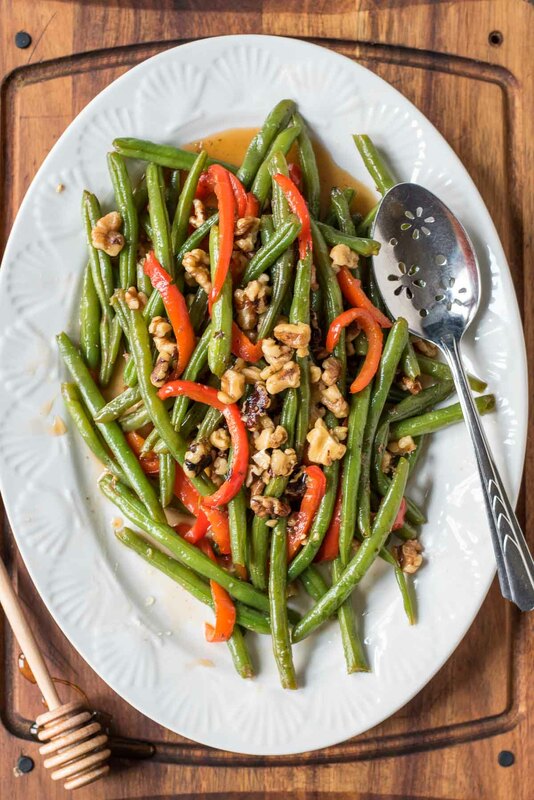 These Honey Green Beans with Walnuts and Red Pepper are fast enough for a weeknight, but beautiful enough for a holiday. They’re my new go-to quick side dish! Am I the only one whose brain translates “Toast the walnuts in a dry skillet” to “BURN THEM! BURN THEM ALL TO A BLACKENED CRISP!” No? Just me? Well, then, this recipe should be fabulously easy for all of you capable nut toasters. Honestly, that 2 minute task of getting walnuts to a golden, fragrant brown is the hardest part of this recipe. These Honey Green Beans are made in 10 minutes flat, and they make a gorgeous side dish for a weeknight dinner party or your Easter celebration. I got the idea for this dish at one of my favorite Columbus restaurants, Cap City Diner. They have a lovely fried chicken dinner paired with mashed potatoes and green beans. It’s rare that a side dish is my favorite part of the meal, but that was the case this time. 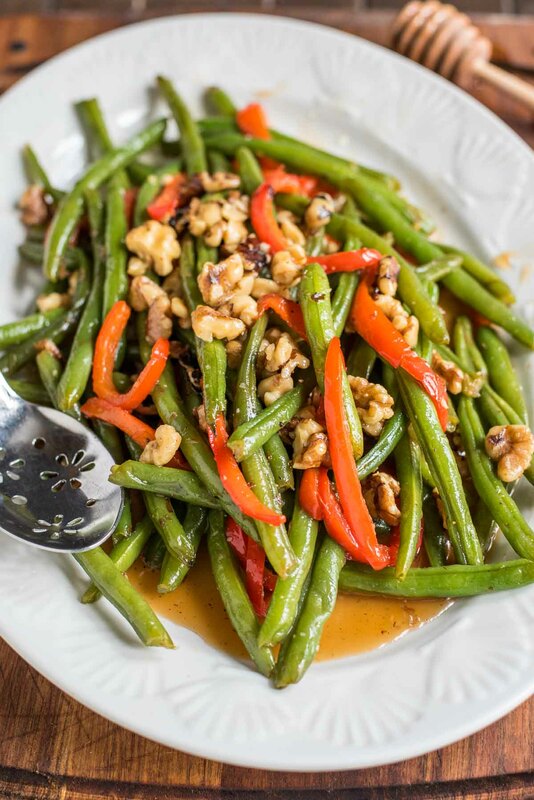 The green beans were sauteed with red pepper strips and walnuts then covered in what appeared to be some kind of honey sauce. I made a note to recreate it, and finally got around to it last week. Guys, this is SO easy. All you do is saute the beans and pepper in a little butter and water, burn toast the walnuts, and drizzle honey, salt, and pepper over top. The veggies are crisp tender with a touch of sweetness and crunch. 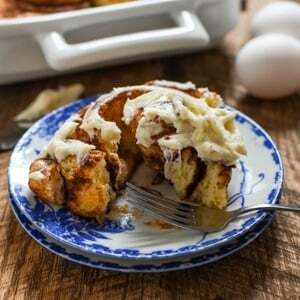 I’m telling you, this recipe is going to be in heavy rotation at our house. It’s also a great one to add to your Easter or holiday menu if you’re looking to break out of the green bean casserole rut. 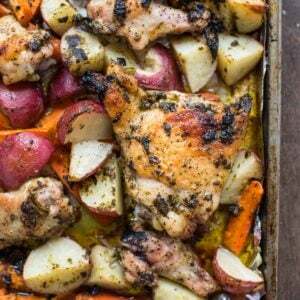 Quick enough for a weeknight, fancy enough for a dinner party? That’s my kind of recipe. In a large skillet, bring the water along with 1 Tablespoon of the butter to a boil. Add the green beans and bell pepper and return the mixture to a boil. Reduce heat slightly but continue to boil uncovered for 5 minutes. Cover, then boil 5-8 minutes longer, or until beans and peppers are tender, but still a bit crisp. Meanwhile, toast the nuts in a dry skillet over medium heat until golden and fragrant. Set aside. When the beans are tender, add the walnuts to the pan and toss everything with honey and the remaining butter. Season to taste with salt and pepper and serve. I’m not used to having my veggie side dishes sweet, but I love the idea of green beans and walnuts together.